For an important business dinner we dined at Italian Village in the Chicago City Centre, our go to venue for such occasions. We had a private dining alcove, ideally suited for our business dinner. Wine Director, Jared Gelband (right w/ colleague Jeff L, touring the wine cellar), served up a classic pair of aged wines that perfectly matched our dinner selections, a eighteen year old legendary Super Tuscan Guado al Tasso from a classic vintage, and a thirteen year old Sangiovese, Vigna di Pianrosso. Count on the deep deep broad wine list of over 1200 labels to offer such a selection. What a treat! Two aged bottles drinking at their apex and capable of aging for another decade, if they would last that long. This is one of my favorites, a classic premium label from a historic vintage. 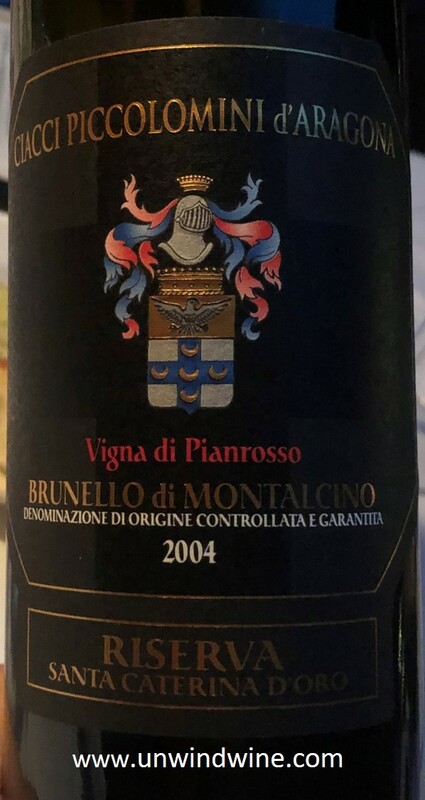 This was a memorable bottle ideally suited to our dinner entree selections, especially my Veal Marsala with its brown sauce and angel hair pasta. 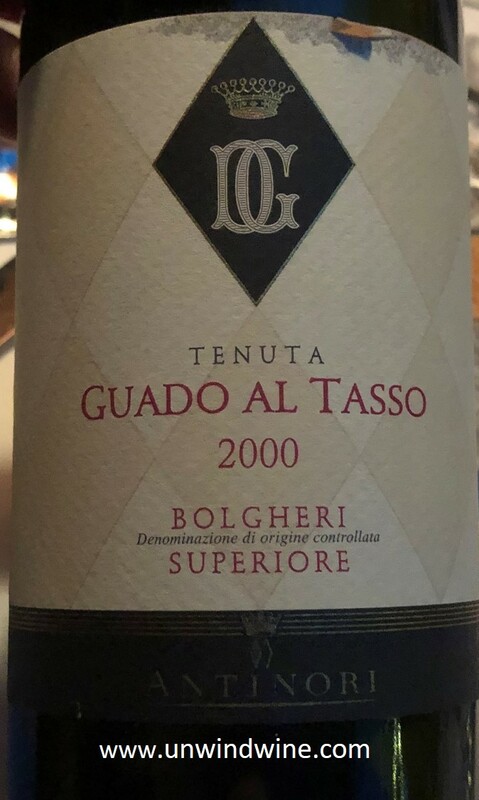 While this is an Italian wine, its Super Tuscan blend is French Bordeaux varietals - 60% Cabernet Sauvignon, 30% Merlot, and the remaining 10% Syrah with a mix of lesser amounts of Cabernet Franc and other red grape varieties. Dark blackish garnet colored, medium full bodied, firm structure but elegant and nicely balanced; forward blackberry and black cherry fruits accented by mocha, expresso, tobacco and spicy clove with tones of mineral on the lingering finish. 93 points from Stephen Tanzer. We finished with Sangiovese to match our Italian entree selections. Once again, the depth of the IV cellar presented a fourteen year old vintage release. Dark ruby colored, full bodied and structured yet approachable, intense forward black raspberry, black cherry and plum fruits, floral tones turning to earthy eather, dark spices, minerals turning to round smooth silky tannins on a long finish. 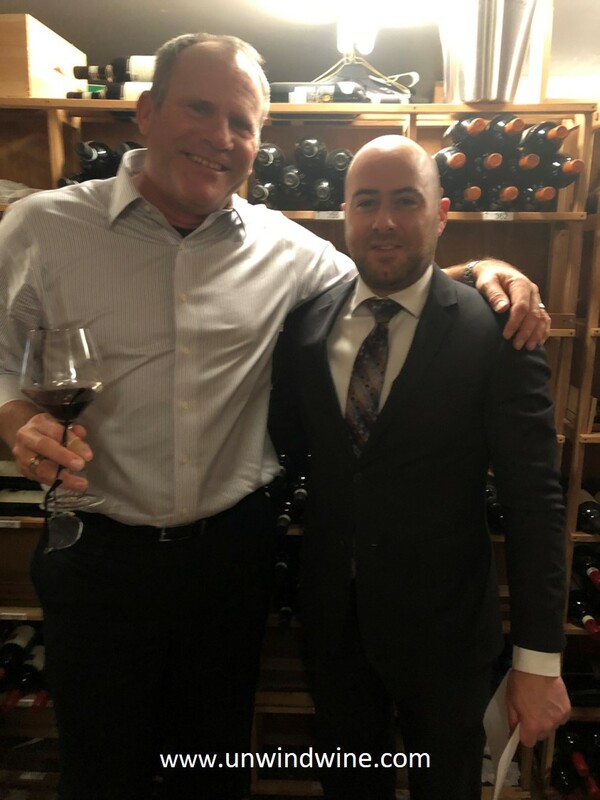 The Pianrosso from proprietor Paolo Bianchini. Ciacci’s Pianrosso is an old-vines selection that spent 36 months in Slavonian oak.